From a UNIX based server pop all of the required files into a specific directory. You will then be prompted to enter the password for the private key. Once completed the my.p12 will be created. 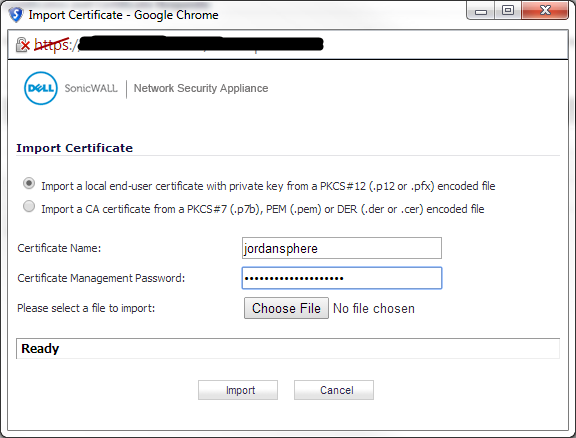 Once you have the .p12 file copy it to your local machine for upload to the Sonicwall.